This is the nicest Scruggs Standard from the Greg Rich era that I have seen. Insanely clean. 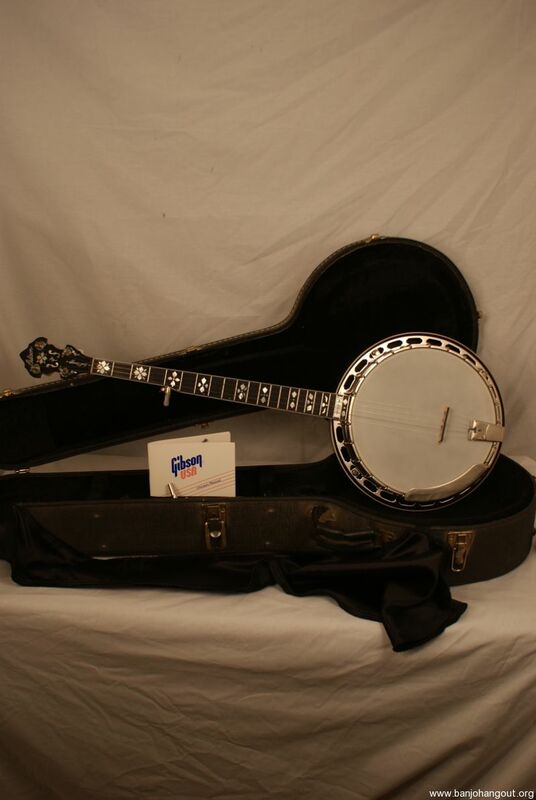 This banjo is a copy of the Granada that Earl Scruggs played. The pot is curly maple with nickel hardware. 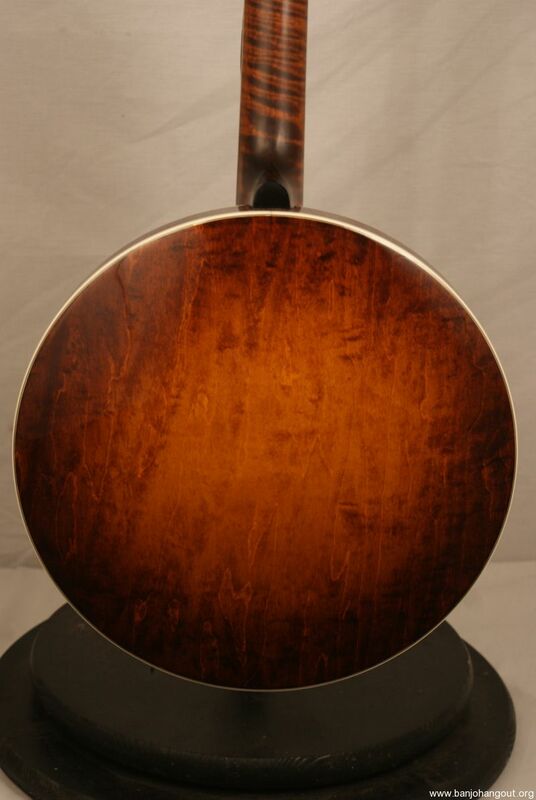 The neck is also curly maple with an ebony fretboard. The fretboard has an Hearts and Flowers inlay pattern. 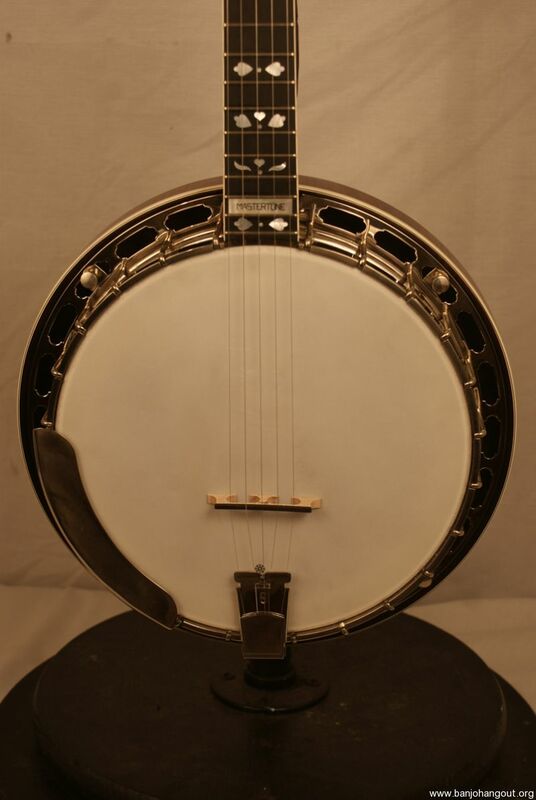 The banjo has binding on each side of the neck and resonator. This also has an original Kulesh tone ring. Plus this has original D tuners. The banjo is absolutely gorgeous. This includes an original Greg Rich era Gibson hardshell case and owner’s manual. 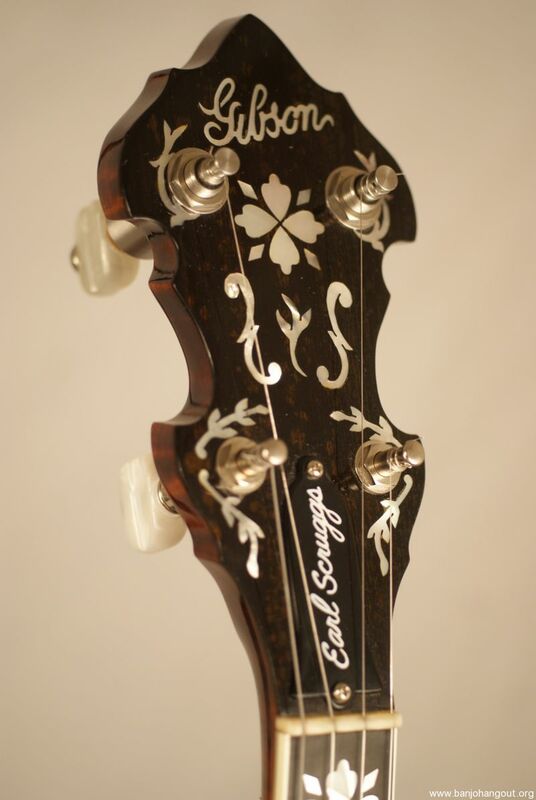 This is probably the most beautiful Scruggs Standard that has come through here. This is near mint. The wood and the hardware are glowing. And this is all over. The fretboard is totally clean. The frets are fat all the way down the board and are original. 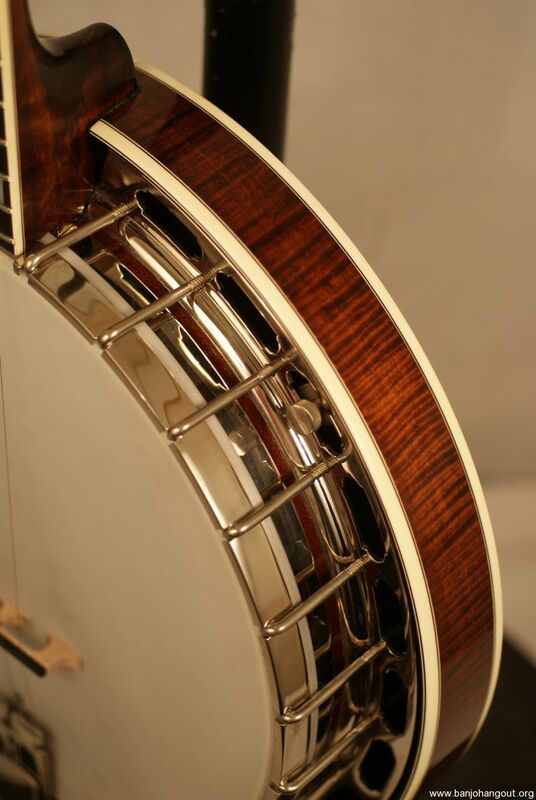 There is a hint of wear on the armrest but that is basically the only wear on the banjo. This is set up and sounds amazing. This is the tone. The banjo plays like a dream and is essentially near mint. This also has a clean original case. All of our sales include Free Shipping. We set up all of our banjos before shipping. All of our sales include a 7 day Full Satisfaction Guarantee. We also ship worldwide. We take all major credit cards, paypal, cash, check or money order. Please call 404-372-5482 if you are not using paypal. You can visit us anytime, we are 5 minutes from the Atlanta airport. Thanks!! !- Geoff Hohwald’s Banjo Warehouse. Returns accepted. Buyer must contact seller within 7 days to arrange return. Refund will be given as Money Back. Buyer pays return shipping. This ad will automatically expire 5/13/2019 7:20:56 PM unless updated before that date. To keep the system current, ads expire if not updated for more than 60 days.